It's time to set your missions into motion and actively participate in planetary ascension. 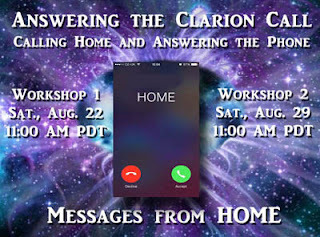 We begin our Answering the Clarion Call two-part webinar series this Saturday, August 22. See the full details regarding the hands-on workshops that will help you accept and utilize this important connection and information you receive from Home. “Welcome again to the Violet Temple,” Beverly heard Mytria say into her heart and mind. “We send you love. With our love we can assist you in meeting your daily challenges. We are also guiding you to find your path. The old world is dying now and is to be replaced with a new one. Within this new world there will be many changes that those from the old world will not be able to accept. “There is an opening of the veil of illusion that will allow those who dare to see many truths that have been hidden. Your planet is one of free will. Therefore these truths could only be hidden because the majority of the society did not want to see them. That majority is diminishing. They are diminishing through old age and they are diminishing through fear. “Because of their fear they will not allow themselves to see what is coming, so their souls are contacting them. Perhaps with help from their higher self some of the many who still slumber can awaken from illusion. This illusion has created a reality that seems familiar and that familiarity feels safe for them. “In the midst of the many changes that will escalate logarithmically, these people will cling to the old. However, the old is dying and if they cling to it, they will feel as though they are dying as well. The rules of evolution state that those who are resistant to change are doomed to extinction. “Many of you, however, are tired of the old and never could embrace it in the first place. It always felt like a lie to you because it was. You are the ones who will now blossom in the new age. You see how your old familiar life is leaving? Be not attached, for attachment retards change. “You are among those who will openly embrace this change. Those of you who embrace this change shall be the elders in the new reality that is now being created. Now, dear one, allow yourself to revisit your home on the Pleiades. “Observe yourselves flying over the beautiful green lands. Beneath you are the lovely crystal domes that are peoples’ homes. There are many different domes and many different colors. As you fly higher you discover that there is what you would call a neighborhood with a large dome in the center, which is usually white. The colors of the homes change according to the activity of those within them. “As you fly over our area you see small domes scattered around in the nearby woods, and discover one neighborhood that seems to pull you in. You move towards this area and find that you are instantly standing before your home. You see that it appears to be small from the outside. You do not see a door, but once you desire to enter the dome, a door appears and you walk through. “Once you have entered your dome, you find that it is much larger than it appears from outside. This is because we are a fifth dimensional society. Therefore, we are not bound by any constraints of space. You realize as you wander around your beautiful home that anything that you ask for is instantly manifest. Anything that you dream of is there by your side. “When you settle into your Pleiadian home, you feel a desire to enter the Violet Fire of Transmutation. It is by entering this Violet Fire that you will return to your Pleiadian lightbody. You hear the chime, the call of the Central Violet Temple and know that it is your time to enter the flame. You center your heart and your mind on that experience and in a flash, you find yourself standing before the Violet Temple. “Because we are a fifth dimensional society, each of us may have a different perception of the same building, of the same home and each of us can also join into others’ perception and join into the group’s perception. Take a moment and see your personal perception. Yes, now see the group’s perception. To the group’s perception the Violet Temple appears as a huge amethyst geode with many towers throughout. Again, as you come to the Temple, there appears to be no door until you desire to enter. “At the moment of that desire, huge golden doors appear that open in a welcoming fashion. As you enter through these doors, you move into the main entryway. Again, take a moment to perceive your personal experience of this main entryway. “The group experience is that it is a very large building with several pillars and a stairway built of amethyst that leads up, up, up to a tower. There are several hallways that move out in a circular fashion from the central foyer. As you stand there, you see your guide coming down the stairway to greet you to take you to a room by the Violet Temple. “Take a moment to perceive how you see your guide. Your guide will lead you up the stairway, step by step, slowly, gradually, and rhythmically in preparation to enter the flame. As you reach the top of the stairway, there is a mezzanine with many doors. Your guide takes you to the door that is perfect for your resonance. “As you enter the door there is an anti-chamber where you are given a robe. Take a long moment and see your robe. What is the color? How does it feel when you touch it? Now shed all that you have worn before and put on this robe. When you are ready, you enter another room where your guide has been awaiting you. What are the words that your Greeter speaks to you? What is the intention that you hold as you enter this flame? What do you wish to transmute in your life and in your reality? “When you are ready, your Greeter opens the door again to yet another mezzanine, except in the very center is a huge Violet Flame. This Flame begins far, far below you and rises far, far above you. See, hear and feel the shades of violet as they vibrate and shimmer. The Flame goes all the way to the sun, to the stars, to the planets, to the galaxy. “Feel your emotions, center your thoughts and determine your intention. When you are ready now, your Greeter gently touches you on the shoulder. At the count of three, you must jump into the Flame without doubt, without fear. “Are you ready? Are you ready to let go? Are you ready to take the leap of faith, Beverly?” says Mytria, turning her full attention onto Beverly. Lisa felt herself step into the Violet Flame. No, wait; was that her mother Beverly, who was making the leap? She could not tell. Her mind was half asleep, yet fully awake to the vision of the Violet Flame that totally surrounded her. She stepped into the Violet Flame alone, she thought. But she had the feeling that Mytria was with her in her consciousness. Or was that her mother? Was there a difference? As the memory of her dense physical body faded from her mind, Lisa felt herself in a relatively formless state. She was aware of a focus of attention, a beam of light that held her individuality within the flame, and the focus seemed to be on her. No, it must be on her mother! NO, the focus, all the focus, was on her. Was it her spirit, her soul, her consciousness? It was certainly not her body. “What do I declare now,” thought Lisa? She did not know; yes she did know but was afraid to say it. And so she forgot it. She forgot what she wanted to declare. How could she make a declaration when she did not know if she was awake, asleep, herself, her mother or Mytria? Her world there was changing rapidly. All that she had known as a foundation was leaving and changing. Clearly, it was time for her to create a new reality. She was ready. She was ready to let go and fall into the flow. Almost. But something was still stuck. It was stuck deep inside her heart, stuck to her childhood and to her youth. What could it be? There was a frozen moment in her heart that longed to be healed. But she would have to open her heart to accept that healing. She knew that because she actually heard Mytria tell her. How could she hear, Mytria, her mother’s figment of imagination as if it was real? That brief moment of doubt made her lose her center, her balance and her faith in her own process. “What kind of trick is this?” she asked as she pushed the book away once again. “I must have had too much wine,” she said, not noticing that she was so interested in the Journal that she had not even touched the wine. But she did not see the wine glass because she left the chair and the table with the full wine glass and the Journal that she had carefully placed on the floor. This was just a dream, she told herself as she went to her mother’s bedroom. “The third idea was our best idea in which everyone could realize that ascension takes calm patience, unconditional love and great courage. However, there are not enough humans who possess and can maintain calm patience, unconditional love, and great courage. Sleep, or a deep trance, overtook her before she had a chance to answer her own question. Perhaps a dream would answer her. Lisa awoke suddenly while it was still dark. She had had a dream that she could not remember, but felt strongly that she must read the next segment of the journal. Bruce was soundly asleep, so she slipped out of bed, got the Journal and went into the living room. As she turned on a small lamp in the corner of the living room, she remembered that her mother’s face was the last image she had before she woke up. She wondered why she didn’t awaken Bruce, who had seemed so eager to read the journal with her. Pushing that thought aside, she read an entry, which was written in her mother’s handwriting. Why didn’t she type it? She also wondered why this entry had no date. Pushing that thought aside, she began to read the entry. Dear Journal, While writing and simultaneously reading the story of Mytria and Jaqual, I was told that they are the higher dimensional expressions of my husband David and my self. There, I did it again. I called David my husband. Well, we are not divorced, even though many, including our daughter, Lisa, believe that we are. That may be unfair to let her believe that, but I never said we got divorced, except in her imagination. Lisa could never understand the arrangement that David and I have. You see David went back to the Starship. How could I tell my young daughter that her father had to return to active duty in outer space? Therefore, I didn’t. I just let her believe that he had left us, which he did. I wanted him to say goodbye to her, but he said he could not lie and he could not tell her the truth. Hence, he could not tell her he was leaving. He did tell me though. He told me that I would stay here on Earth because I was stronger than him. He said that he was “just a warrior,” but I was a multidimensional priestess. I always got so angry with him when he told me that. However, David was incapable of lying and ONLY spoke the truth. Even though I knew those facts to be true, I always had such low self-esteem that I could not believe him. I still have low self-esteem, which is why I am organizing this journal. 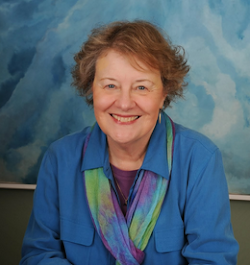 I have trouble believing that I am a multidimensional priestess, but have no trouble with believing that I am “not good enough.” If I had gotten past that issue, I could have joined him on the Ship when Lisa left the house. But then she got pregnant right away and had two lovely starseeds. Since Lisa could not believe that she was a special “chip off the ol’ block” I guess, she could not believe that her children, and her husband, are starseeds. I do not know who I am writing this message to, likely myself, and of course, to Lisa. I don’t know if Lisa will ever read it. Still, I need to prepare this message in a manner in which it makes sense to her if she ever does read it. All right, I must be honest here. I also need to put all this information into some type of, dare I say, third-dimensional, sequential form. This journal began with millions of notes that were scattered around the house from pre-computer days, then put in files somewhere in my computer, post-computer days. My first, and very arduous task, was to type in all the pre-computer messages, then organize the messages in the computer. I ended up with more pages of information than I care to count, so I started with putting them in order by date. Of course, how can I collect these inter-dimensional messages that came to me from the dimensions beyond time and put them into sequence? On the other hand, even I who received these messages cannot incorporate this information into my physical life if they are not in some form logical, 3D sequence. When David was with me, he was the one to receive the messages, while I held down our illusion of being regular people in a regular 3D life. We were not supposed to have a child. To have a physical child on the physical earth, I had to release my fifth dimensional frequency and limit my awareness to the third and fourth dimensions. That was the greatest sacrifice I can remember making in all of my myriad lives. I would like to say that I made that sacrifice for my baby, or because I wanted a child, or even because my husband wanted a child. Dearest, most beloved Lisa, I know that you will read this journal. I also know what I am about to say will hurt you. However, I cannot live this lie any longer. First, I did not know that I was pregnant until it was actually too late for an abortion. Second, abortions were illegal then. Third, no one on the Ship would ever terminate a life for any reason. And finally, my confession, I wanted the baby so David would stay with me and not return to the Ship. Lisa dear, I promise you with my broken heart that when I saw your sweet face I fell deeply in love with you. But, I was never too good at anything human. I could not make or balance money. I could not clean the house or keep a job. I could not make or keep human friends. But, I promise you that I tried with all my inter-dimensional heart to be a good mother. However, when David left us, I was beyond sorrow. I was so lonely to go home to the Ship, but you came into me on Earth. This was your home, and I needed to be here with you. David would have loved to stay with you, and still comes into your dream life, but he had to return. And I had to stay here with you. I guess that once I start being honest, I cannot stop. I did resent you sometimes, and I know that you felt that and resented me a LOT. Somewhere during the loss of my husband, and your loss of your father, we took our sorrow out on each other. I realize that you left the house as soon as you could and chose a college that it was “too far” to visit me. I could have visited you more, but I became too tired of being a human and too depressed to return to my multidimensional self. There were many dark years, which I only survived because of my communications from “Home.” “Home” is on the ship, and my 3D home is just house. Somewhere along the way I forgot my Mission because I forgot my SELF. Since I vowed that this message would be 100% the truth, I will tell you it was because I did not want to be a total failure. It appeared that I was a failure with my marriage, with my mothering, with my working and with my housekeeping. I could not return a failure. I had planned and studied for many of what you would call years to have the honor of taking a physical body. I could not/would not return as a total failure. Once I made that decision, I began to gather my inter-dimensional communications into an sequence of communications that just may be helpful for others. Finally, I had begun to think of others. Since all financial worries were cared for from when we entered our earth body, I did not have to work for money. But, finally, I decided that I wanted to work for a purpose. During the day I went to hospitals, hospices, soup kitchens, half-way houses, convalescent homes and poverty areas to see if there was anything I could do for some one else. I had spent too much of my life, and all of my life with you, thinking about my self. Finally, I realized that I could help others. All the abilities that I had kept to myself, I decided to use for the health and welfare of others. By day I worked for others and by night I began gathering all my inter-dimensional messages in the journal that you see before you. If my truth can assist you in any way, I invite you to read it. I guess if you have found this page, you are reading it. On the other hand, if you throw it across the room, I hope you put it back together and give it to someone who may need it. You may wonder why this message to you, dear Lisa, is this far into the journal. The answer is simple. As I began to go through my experiences in the higher dimensions and on the Ship, I finally gained the courage to be open and honest with the person I love most on this world—you, my dear daughter. I love you very much Lisa. I am sorry that love is different in my world. In my world, love and freedom mean the same thing. But you were only raised on Earth, as a human, and needed something that I did not know how to give. By the time I learned to give love, you were gone and wanted nothing to do with me. Therefore, I will give you freedom. I have learned how to make enough money for my meager needs, so I have been putting all of my “spending money” from the Ship in an account for you and the children. You will find the book for that account in my safe. You also know where I keep my secret papers, which is where you will find the code for the safe. I was never able to give you the love that you needed, so maybe I can give you the financial freedom to do whatever you want. This account is only for you and your children for as long as you wear an earth vessel. Please note that I did not add your husband’s name. I do not trust him and never did. Perhaps, that is why you married him. 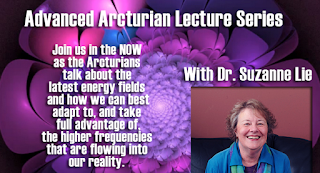 We invite you to join Dr. Suzanne Lie, Ph.D., guided by the Arcturians, who will lead us in a live interactive discussion and exploration of topics brought forth to assist us in the NOW. We welcome you to join in a unified connection of higher consciousness. Find out how to best prepare, embrace, and assist others in the assimilation of the intense energy and be an active participant to collectively empower the highest possible reality. Wow ! Indeed: SO beautiful ! Am I ridiculous if I confess that, as a human and as a mother, I felt just like B ? Thank you, with all my heart, again, Sue. As I have been reading these excerpts, I am reading them in a very detached way......I wonder why this is? What a journey...I am loving reading them....how amazing that Lisa can 'hear' Mytria...and not wonder! How lucky she is. I cannot 'hear' anyone. which makes me sad, no matter how much I yearn for it, it will not be...do I have to 'create' that? I am not an empath, but if I let myself really relax, I do get 'feelings' & can use a deck of cards as a prop to give someone a reading....and I did courses on how to heal. Healing others, well, it seems like I have always wanted to do this, but, apart from the distance healing I send to friends, when requested, on-line. It doesn't 'feel' like healing to me, like one on one contact...I am confused & alone with no-one to talk to about this, I rely on people like you, dear Sue...for tips on how to advance....what to expect, etc etc. This is the one i loved the most, thank you so much for sharing. it seems like a silent hill awakening.